© 2018, Dr. Subodh Banzal. Dr. Subodh Banzal is a Consultant Endocrinologist and Diabetologist in Indore with 25 years’ experience in his field. He has two clinics in Indore where he can be consulted: Diabetes and Hormones Care at Vijay Nagar; and, The Endocrines at South Tukoganj. In addition to his private clinical practice, Dr. Banzal is also Associate Professor of Medicine and Endocrinology at Sri Aurobindo Institute of Medical Sciences (SAIMS), Indore, and as well as Consultant Endocrinologist at BHRC, Indore. 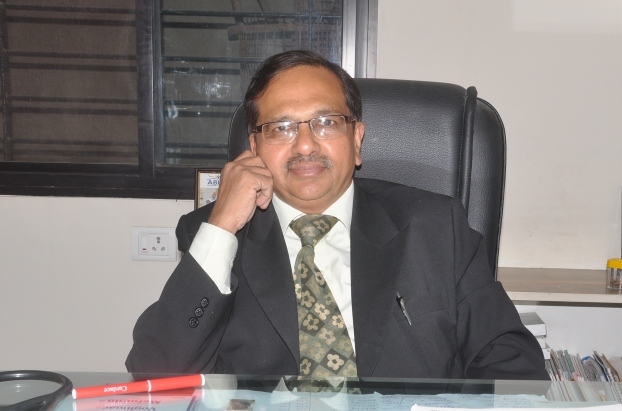 After completing his MBBS from Indore University, Dr. Banzal went on to do his MD in General Medicine from Devi Ahilya University, Indore, and then added a DM Endocrinology to his qualifications. He is also a Member of the Royal College of Physicians, UK, having passed the membership examination in 1997. Dr. Banzal is a Fellow of the Royal College of Physicians, Glasgow, as well as of the American Biographical Institute, USA. Dr. Banzal has extensive experience in his field. He was a Lecturer in Endocrinology at G S Seth Medical College and KEM Hospital, Mumbai, where he was involved in formal and informal teaching of junior doctors and undergraduate students, and conducted Diabetic, Thyroid, Puberty and Growth Clinics. Dr. Banzal also worked as a Consultant Endocrinologist at King Fahd Central Hospital, Saudi Arabia, for 15 years and then at Bombay Hospital (Indore) for two years, prior to his current assignments. Dr Banzal is a member of many prestigious International and National Endocrine Societies, has published a number of papers in national and international journals and has attended several Conferences and Symposia in India and abroad. Visiting Fellow, Department of Medicine and Care of the Elderly, under Dr. D R Prichard FRCP, Dip.H C Law at Ysbyty Gwynedd Hospital, Bangor, North Wales for a period of one month. Oct 1997. Visiting Fellow, Department Of Endocrinology, under Professor Newton, at Ninewells Hospital at Dundee, Scotland for a period of six weeks. 1999. Member, Royal College of Physicians. UK. Member, National Academy of Medical Sciences. India. MD Thesis: Estimation of Serum Zinc and Copper in Different Renal Disorders by Atomic Absorption Spectrophotometer. Glycaemic Index of, and Insulin Response to, Some Food Items Consumed by Indians. Banzal S, Bhandarkar S D, Ayoola E A. Medical Science Research. 1997,25,529-531. Mexiletin Toxicity - A Case Report. Banzal S, Rissam H S, Bhat F A, Ashraf J. J K Pract. Apr-Jun 1996, 3 (2) 101-102. Survival in Water Intoxication - A Case Report. Banzal S, Rissam H S, Bhat F A, Ashraf J. J K Pract. Jul-Sep 1996, 3 (3).157-159. Diabetes. Banzal S. Science Today. Feb 1989; p 60. Survival in a Case of Severe Myocarditis with Pulmonary Oedema after a Scorpion Sting - A Case Report. Rissam H S, Banzal S, Bhat F A, Ashraf J. Jan-Mar 1998. J K Pract. 5 (1). The Clinical Pattern and Complications of Severe Malaria in Gizan Region of Saudi Arabia. Banzal S, Ayoola E A, et al. Annals of Saudi Medicine. 1999; 29(4) 378-380. Sheehan's Syndrome in Saudi Arabs. Banzal S, Ayoola E A. International Journal of Gynaecology & Obstetrics. Attended: Endocrinology and Diabetes Update. Jaslok Hospital and Research Centre, Mumbai. Organised by American Association of Physicians of India, USA. Jan 1989. Attended: National Symposium & Workshop of Paediatric Endocrinology. Bai Jerbai Wadia Hospital for Children. Mumbai. Feb 1989. Attended: International Symposium on Living with Diabetes - Present & Future. College of Medicine, King Saud University, Abha, Saudi Arabia. Oct 1989. Attended: International Symposium on Diabetes - Prevention & Management. King Fahd Hospital, Baha, Saudi Arabia. Sep 1994. Attended: Endocrine Update. Miami, USA. Oct 2003. Attended: Annual Conference of Endocrine Society of India. ESICON 2005. New Delhi. Attended: Annual Conference of Endocrine Society of India. ESICON 2006. Jaipur. Attended: Annual Conference of Endocrine Society of India. ESICON 2007. Tirupati. Attended: Annual Conference of Endocrine Society of India. ESICON 2008. Kochi. Attended: Annual Conference of RSSDI 2004. Patna. Attended: Annual Conference of RSSDI 2005. Banglore. Attended: International Diabetic Federations (IDF) Conference. Cape Town, South Africa. Dec 2006. Attended: Annual Conference American Diabetic Association. San Francisco, USA. Jun 2008. Attended: Annual Conference Endocrine Society. San Francisco, USA. Jun 2008. Teaching Experience : Clinical and theoretical teaching in Endocrinology and Medicine to postgraduate students. Teaching Experience: Academic activities in the hospitals for Continuing Medical Education (CME) for Doctors and students. Teaching Experience: Lectures to nurses and BPT students on Diabetes and other Endocrine disorders. Invited Faculty: CMEs conducted in Indore and at various District IMA and API branches in Madhya Pradesh. Conducted Diabetes and Thyroid camps for public awareness.